The term vasodilation is used to describe the process by which the blood vessels in your body relax and open wider (caused by an increase in nitric oxide), allowing for increased blood flow. As you start to exercise, vasodilation starts to occur naturally as your muscles begin to work and require more oxygen and nutrients. By increasing nutrient delivery to muscles, you are increasing the delivery of the energy producing fuel that is needed to lift those heavy weights, mainly oxygen and glucose. By more efficiently removing metabolic waste products like lactic acid and ammonia, you will slow your rate of muscle fatigue, allowing for more reps and more sets… and you will reduce your recovery times between workouts. In general, the greater the degree of vasodilation, the harder and longer you will be able to train. There is nothing more satisfying to a bodybuilder than achieving a muscle swelling, vein popping pump from your workout, but did you know that muscle pump is also directly related to muscle growth? That’s right… the better your muscle pumps, the faster your muscle will grow… and the key to achieving great muscle pumps is maximizing vasodilation! By maximizing vasodilation, not only are you increasing the delivery of fuel to your muscles, but you are also increasing the delivery of amino acids, testosterone, growth hormone, and insulin growth factor to your hard working muscles – and these nutrients are CRITICAL to stimulating faster muscle growth. Note: If you want to achieve maximal muscle pumps, it is IMPERATIVE that you load your body up with quality carbs before your workouts. Without out carbs to fill up your muscles, it is virtually impossible to achieve an awesome pump. If you want to go the natural route, find whole food supplements that are high in nitrates like spinach, kale and beets. These are typically not as effective at maximizing vasodilation, but they are known to be effective and free from any unwanted side effects. 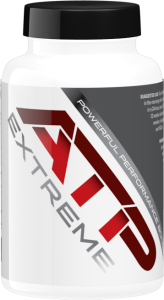 The most popular route these days is to take a nitric oxide boosting supplement high in L-Arginine and L-Citrulline. However, these supplements may cause side effects like diarrhea, headaches, stomach problems, kidney stress, increased urination and sleep issues. The final option is oral ATP supplementation (adenosine triphosphate). Most people don’t know this, but increasing extracellular levels of ATP in the body boosts nitric oxide production, which in turn results in vasodilation. The great thing about oral ATP supplementation is that it will give you the same results as an L-Arginine/L-Citrulline supplement if not better, but without the side effects. 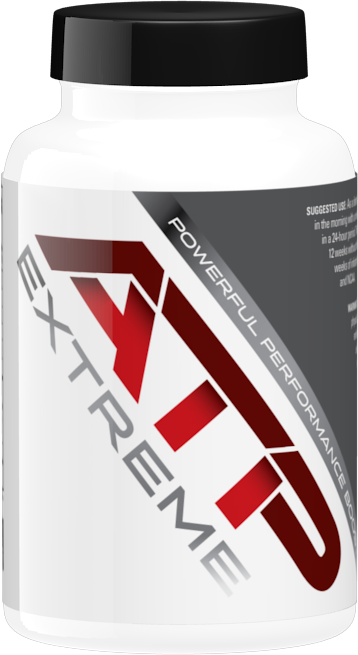 ATP Extreme is an oral ATP supplement and proven vasodilator, which means it causes the blood vessels to relax and open up, allowing for greater oxygen and nutrient delivery into the muscles, and more efficient removal of catabolic waste products like lactic acid out of the muscle. This is why bodybuilding athletes report much better pumps, greater training capacity (more reps and sets), and faster recovery when taking ATP Extreme, all of which lead to must faster muscle building and fitness gains in the gym.